Texas played Texas Tech close but lost because of bad decision-making, Shaka Smart said. Smart has to be unbelievably crestfallen after losing his second straight game after a 2-0 start in Big 12 play. Smart said he "absolutely" was irritated when center Dylan Osetkowski said the team was a "little satisfied" when it began 2-0. At least Texas lost to a somebody. 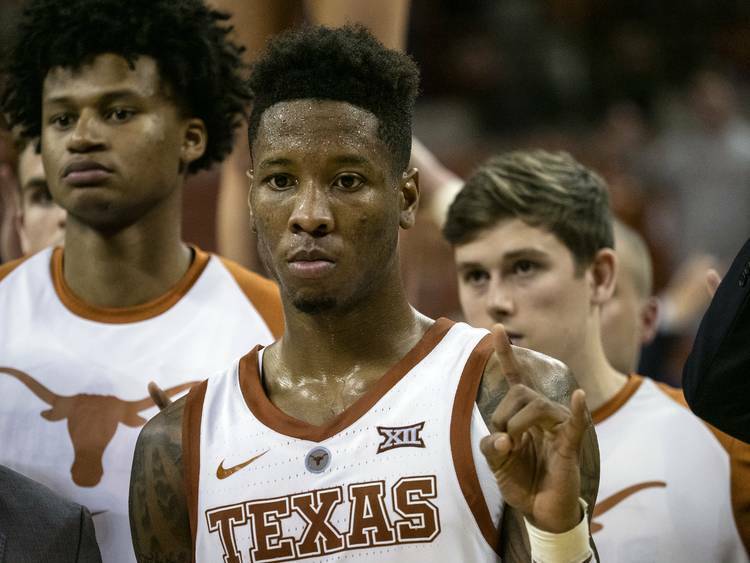 After losing to NCAA nobodies like Radford and VCU, the Longhorns can at least say they fell to a really good team Saturday. Shaka Smart looked crushed. You can just see it in his hurting, soulful eyes, his body language, his downcast spirit. The Texas basketball coach should be ready to throw a chair against a wall or himself or at least utter a word here or there that would be inappropriate in a Sunday pew. This, after all, was a winnable game. But then, many of them are for the fourth-year head coach, who is desperately trying to re-create his VCU magic and stitch together some sustained momentum that will translate into championship contention, NCAA Tournament wins and upgraded recruiting. Yeah, we’re waiting after his 25-33 Big 12 record overall. Texas lost to horseradish-strong, eighth-ranked Texas Tech on Saturday, and there’s no shame in that. But there’s no winning in that, either. Playing well for a half or so will only get you a losing record in this conference. As a result, a chance to prevent a two-game losing streak and latch on to a huge RPI win went awry in a game that was tied with eight minutes remaining. A Longhorn team that went 2-0 out of the Big 12 box but stunk up the first half in a bad loss to last-place Oklahoma State on Tuesday closed out the week with a 68-62 loss to a damn good Red Raiders team that just might duplicate that program’s Elite Eight run of a year ago. That’s how good a job Chris Beard has done in Lubbock. Oh, and he also snapped a 22-game road losing streak in Austin when his Tech team outlasted a gritty effort from Texas down the stretch. Beard even remembered where he was in 1996 when Tony Battie fueled a 28-1 Sweet 16 Red Raider team and last gave the red and black a win at the Erwin Center. It was Texas that got chicken-fried on Saturday, but then from one game to the next, the Longhorns always drift perilously close to falling into hot grease. If this keeps up, Texas fans will wish Beard — a UT grad and former Tom Penders assistant — hadn’t bought a round-trip ticket from Lubbock, even if he is locked up through the 2023-24 season. The Longhorns, now 10-6 overall and 2-2 in Big 12 play, find all kinds of creative ways to lose games. Usually it’s because of poor shooting, like the 2-for-22 debacle from behind the line in Stillwater. On this afternoon, it was bad decision-making. Smart didn’t hide his frustration on that front and mentioned it, maybe, six times in his postgame remarks. He was referring to nine turnovers in the second half or an errant lob pass to Jaxson Hayes or Courtney Ramey missing a wide-open 3. The team’s lack of high basketball IQ. Smart all but said as much about plays such as Jase Febres’ critical turnover on a behind-the-back dribble after some hesitation. That pretty much epitomizes Texas because Febres is also the team’s best shooter on the perimeter if inconsistent and hit three treys Saturday. The team’s lack of true grit. That was obvious with Dylan Osetkowski’s bizarre quote after the defeat by Oklahoma State when he said he thought Texas was “a little satisfied” about starting 2-0 in league play. Satisfied? Did the Longhorns center know that Kansas has won 14 consecutive Big 12 titles? If anyone deserves to be complacent, it’s the Jayhawks, who will host Texas on Monday night. The perplexing quote stunned the coach as well. Or maybe he just wanted to grab hold of Dylan. His wasn’t the type of quote you want from a guy in the foxhole next to you. That’s not Smart’s fault, but he’s the one who recruited Osetkowski and this team. That’s not to pin these last two losses on DO. There’s plenty of blame to go around, but you can’t let that kind of weak mindset seep into the locker room. The situation reversed itself Saturday. Texas started strong, committed only five turnovers in the first half, played solid defense and then wilted in the second half. Tech’s versatile Jarrett Culver is a player earmarked for a solid NBA career, but it was his teammate Matt Mooney who took over the game early with a pair of treys and two steals to set the tone. The Longhorns had no appropriate answer. But at least they’re losing to better teams. Eyes on Texas: What exactly did we learn about the Longhorns during the 2018 season?